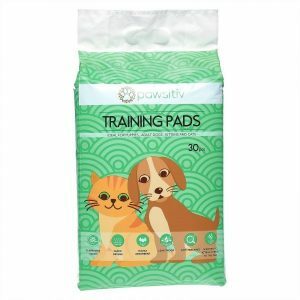 pawsitiv Multifunctional Training Pads features advanced polymer technology to convert liquid into gel. With powerful odor control and attractant. 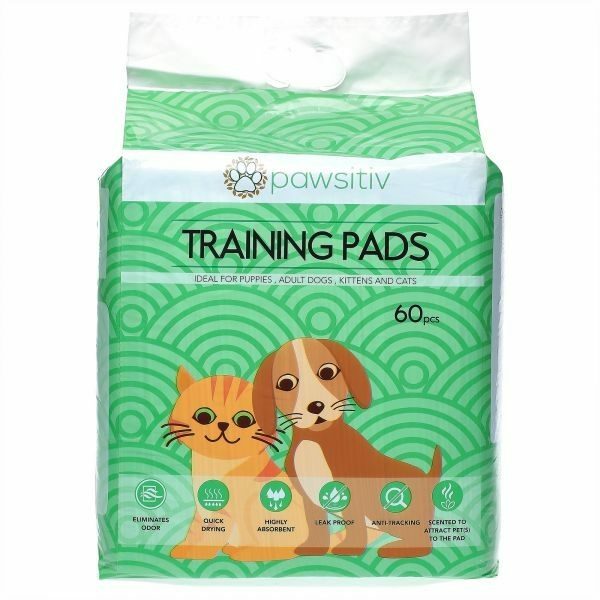 Pawsitiv original training pads are now 100% more absorbent, they hold 10 times more liquid than standard economy pads. 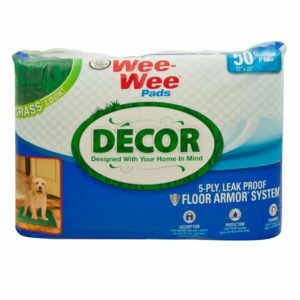 The absorbent core draws in wetness to prevent messy tracking and the 8-layer construction traps more urine for repeat use or larger breed pets. Training pads accelerate training time by encouraging instinctive elimination and guard against odor by inhibiting the growth of microorganisms. These are great for housebreaking your new puppy/kitten and also for providing a toilet area for indoor, confined or ill pets. Ideal for use in cars, carriers, boats or anywhere your pet may not have a chance to get outside to go to the toilet.